Why See Once Upon A One More Time? Hit Me Baby One More Time because a brand new musical which features the iconic hits of Britney Spears is heading to Chicago this fall! 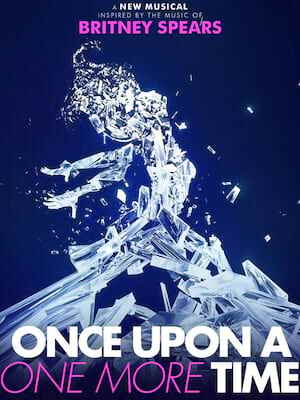 Written by Jon Hartmere Once Upon A One More Time will be directed by Tony Award nominee Kristin Hanggi and choreographed by MTV Video Music Award nominees Keone and Mari Madrid. The new musical will enjoy a run at the James M. Nederlander Theater in Chicago before heading to Broadway! As the fairytale princesses gather for their regular book club they are amazed when a rogue fairy godmother drops The Feminine Mystique into their corseted laps. Accompanied by songs like "Baby One More Time", "Toxic" and "Gimme More" the princesses realise that there is more to life than true love's first kiss and pretty ball gowns. Looking at the challenges, choices and charms of 'Happily Ever After' Once Upon A One More Time is a tongue-in-cheek and jubilant exploration of the search for happiness, perfect for the 2019 audience! Starting her career as part of the iconic The Mickey Mouse Club (alongside the likes of Christina Aguilera, Justin Timberlake, Ryan Gosling and Kerri Russell) Spears was always destined for greatness. Bursting onto the music scene with her 1999 debut album ...Baby One More Time Spears was skyrocketed to superstardom and reached the number one spot in over 18 countries! With nine studio albums (six of which hit the number one spot in the US), five number one singles, and a Grammy award, Britney has sold over 150 million records worldwide making her one of the world's most successful artists. Although there were some trying years in the mid-noughties, Brtiney has proven to be a stalwart icon and is sure to go down in history as one of the biggest pop-stars of all time! Seen Once Upon A One More Time? Loved it? Hated it? Sound good to you? Share this page on social media and let your friends know about Once Upon A One More Time at James M. Nederlander Theatre. Please note: The term James M. Nederlander Theatre and/or Once Upon A One More Time as well as all associated graphics, logos, and/or other trademarks, tradenames or copyrights are the property of the James M. Nederlander Theatre and/or Once Upon A One More Time and are used herein for factual descriptive purposes only. We are in no way associated with or authorized by the James M. Nederlander Theatre and/or Once Upon A One More Time and neither that entity nor any of its affiliates have licensed or endorsed us to sell tickets, goods and or services in conjunction with their events.